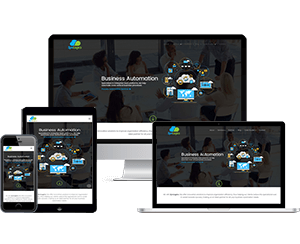 SynLogics strives to offer suitable WordPress services for all types of business models. 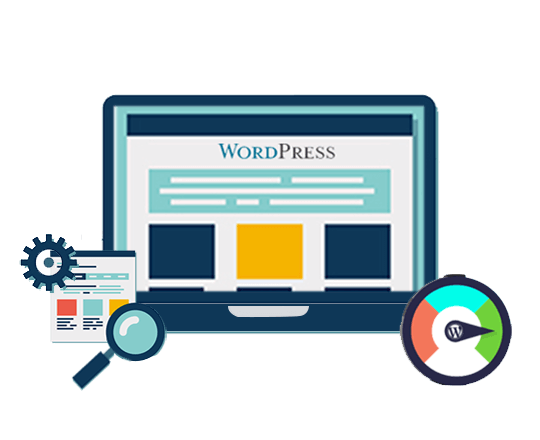 Our experts provide services like WordPress plugin development, CMS development, easy theme customization and much more, all of which is supported by the latest and optimum quality technology tools. We make sure that we follow several guidelines and standards. Nonetheless, our team makes certain that we deliver out of the box WordPress services. With the ever growing demand for the development of E-Commerce websites and the alarming gap in the quality vs quantity ratio, our experienced team passionately focuses on the design and development of web and E-Commerce and delivers it with efficiency. We develop flexible, search engine friendly and responsive WordPress websites. Our websites are WooCommerce Compatible, Multilingual Ready (WPML), RTL-Language Supportive, Retina-Ready and Search EnW3C Markup Validated. We amp up the already progressive and cutting-edge themes of WordPress by customizing it as per your business needs. We further optimize and enhance the functionality of the website by adding plugins to instill diversification. Our expert team creates solid framework with effective caching plugins in order to optimize the images, WordPress database and webpages for better loading speed. It is the layout design which decides the look and feel of your website. We help you in customizing WordPress theme typography and design elements through dynamic and responsive tools. Our experts perfectly put together the look of the website using apt colors, suitable layout and pay special attention to functionality. Further, these can be conveniently customized to your favored design. Plugins help in enhancing the many benefits of themes by acting as the perfect catalyst for bringing about diversification. We develop simplified plugins which will eliminate the need for you to create extensive codes for attributes to your website. Our team develops plugins which boost your site's security, speed and social media connectivity. Our custom-made widgets and plugins allow your web pages to be flamboyant and subtle. WordPress powered CMS has an instinctual user interface and can be handled by non-technical users with ease. We help you in managing all aspects of your website from the admin dashboard and much more without the need for typing in HTML codes. Our experts create dynamic drop down menus with phenomenal hierarchy support. It helps in experiencing an optimum search engine exposure with dependable SEO solutions. WordPress helps in creating SEO friendly website designs for customers who use the commercial web search engines. Our experts help your business to rank better on search-engines by adding geolocations, suitable meta titles, apt descriptions and quality reviews to the products and services displayed on your website. We help you in editing existing themes and create a child theme from an already existing theme. Our experts customize your site for your users to like and share your content through the best social sharing plugins. We enhance your site's security and protect it from spam. Not just that, we track your website's monetization efforts with advertising and affiliate program plugin. WordPress is an open source platform that allows you to comfortably build complex blogs, format text, upload images, documents, video files, image galleries etc. All of this without adding HTML codes or FTP software. We help you in making your blogs SEO friendly and provide additional features which will help your customers to subscribe to your services. Locus Traxx has been working with SynLogics for more than 7 years and the experience has been very positive. Team at SynLogics works as our extended team involving real time communication with our business team and always put up efforts to solve most complex of the problems. They maintain high transparency in their work and gives lot of importance to quality. We highly recommend their services!